Gun owners are rushing to buy silencers for their firearms before the executive order signed by Obama on January 4th makes ownership more difficult and in some places impossible. Silencers or noise-suppressors are regulated under the depression-era National Firearms Act of 1934. For an individual to buy a silencer, he or she must have the paperwork signed by the local county sheriff or chief of police. Many simply refuse to do so – citing their objection to silencers in principle or claiming they don’t have the resources – effectively prohibiting them. Suppressors purchased through a trust do not require local law enforcement sign-off or criminal background checks. Obama’s executive order (effective in July) would change that. Ten years ago the idea of purchasing silencers through trusts became popular. While such trusts vary in sophistication and scale, they generally allow a group of people to purchase weapons or accessories and transfer them among themselves. During 2014 111,599 such trusts were created. Manufacturers have responded to the increased demand. Ruger recently announced that it will produce a silencer for the first time – the Ruger Silent-SR Suppressor for .22 pistols. The pro-silencer argument is that they protect shooters from hearing loss, and allow people to shoot without annoying their neighbors. Proponents also say they help young and inexperienced shooters who are jarred by the sound of gunfire. Anti-gun activists say that suppressors make guns inherently more dangerous, because the sound of a shot is a warning to other people to stay away. Hiram Percy Maxim invented silencers in 1932. His more famous father, Hiram Stevens Maxim, was the inventor of the first portable, fully automatic machine gun. The father’s work with firearms left him near deaf, which prompted his son to apply the scientific principles of an automotive muffler to reduce the sound signature of a firearm. His product was hugely successful and originally sold in hardware stores for $3.25. 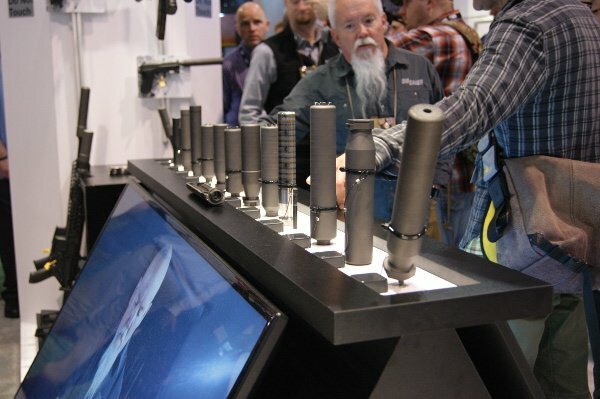 While federal law permits ownership of silencers, they are banned in 11 states, according to the American Silencer Association, a group of dealers and manufacturers that works to improve the device’s image in popular culture. Many prefer the term “suppressor” to silencer, because firearms so equipped are not even remotely silent (inventor Maxim named them silencers). Most people associate such firearms with a movie murderer creeping through a darkened house with a pistol that makes virtually no noise. In reality a noise-suppressed AR-15 — for example — still registers 129 decibels when fired, about as loud as a jackhammer. With the Obama regulations set to go into effect in July, gun stores report a brisk market. But sellers fear sales will collapse once the regulations go into effect, particularly in areas where local law enforcement officials refuse to sign the necessary paperwork.